Everytime Miranda Kerr is pictured, she is always uber stylish and I don't know about you, but I want to steal the style! Whether it be taking her son for a walk or attending star studded events, Miranda Kerr is always sure to look her best and continues to be our style envy! But unlike her, you may not have the bank balance to dress head to toe designer - so why not get her look at a cheaper price? Here's how to steal her everyday style on the high street! Leave a comment telling me who's style you want to steal and I might use it on my next Steal The Style! Follow me on Twitter (@NatashaMackay1) for more fashion updates! Gift Guide #1 - Winter Warmers! As you all know, Christmas is getting closer and closer! In fact, it's only 32 days away! How exciting! So, to help all my lovely readers decide what to buy your loved ones for the upcoming holidays, I will be posting a Gift Guide, where I will find amazing items that you can buy even if you're on a limited budget! Basically, pyjamas are the way to go if you want to get any female family member or friend the perfect gift! 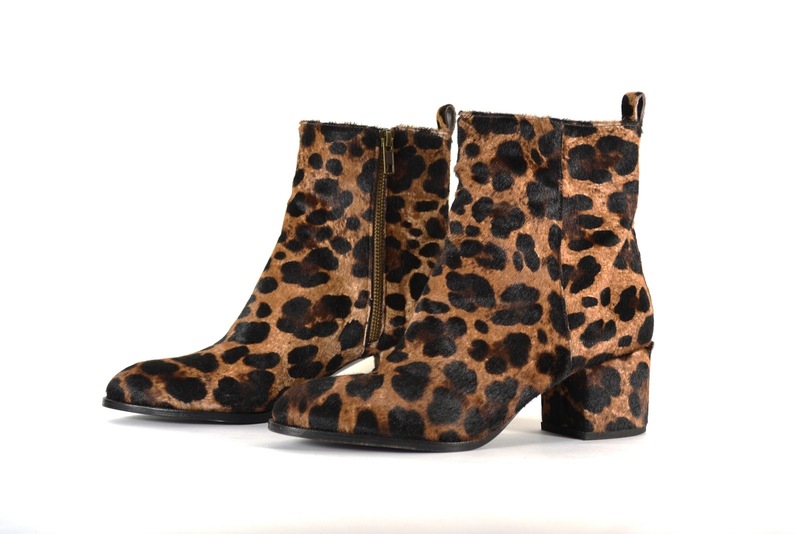 And I have found a website that sells some gorgeous pairs from various designers at great prices that won't leave you penniless! Idlewild London (www.idlewildlondon.com, @IdlewildLondon) sell a wide range of women's sleepwear, loungewear and dressing gowns that keep you looking stylish even in bed! They stock items from designers such as DKNY, Espirt and Calvin Klein and their pyjama gift sets are a definite must have for everyone! Here are some of my favourite pyjamas on Idlewild London at the minute that should definitely be the present for your Secret Santa! How good would it be to give someone a set of designer pyjamas? Or maybe even buy yourself a pair so you're comfy and cosy while you're doing your Christmas shopping online! And at this price, you have no excuse! Leave me a comment telling me what you'll be buying from Idlewild London or talk to me on Twitter (@NatashaMackay1) using #BHBGiftGuide about what you're getting your nearest and dearest for Christmas! Get paid to shop? Yes please Mallzee! But I'm on the mend and will hopefully recover soon.. Yay! 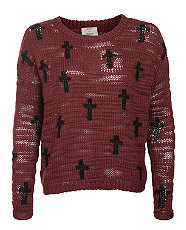 Online shopping has got to be one of the best things ever created, right? Being able to spend your money on gorgeous clothes while it's pouring outside and you're in your pyjamas is the ultimate form of retail therapy! But what if you could browse over 200 different stores on one website and then get paid when you buy something? Surely that be the best invention ever? Well, Mallzee.com have answered our prayers and have created an amazing, innovative website that does just that and will put the spark back into online shopping! Mallzee.com allows you have your own personalized shopping mall where you can pick the stores and brands that you shop from! You simply answer a quick quiz and then they will find the products that match your style which will go on show in your very own Mallzee! You can then integrate your Mallzee with Facebook where your friends can vote in polls to help you decide which piece (or pieces!) 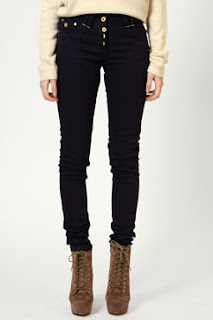 of clothing you should buy! Oh, and they currently have over 200 stores and brands signed up including Urban Outfitters, New Look, Feel Unique and St. Tropez! And to make things even better, once you invite your friends to Mallzee, you will earn money every time someone (including you) buys something from your mall! Wow! How amazing does Mallzee.com sound? I can't wait to try it out! So sign up now to get a prelaunch invite as well as being in for the chance to win £100 ($155) to spend once the site opens it's virtual doors to you! All you have to do is share the message that you receive once you sign up on Twitter or Facebook! Couldn't be any easier! Make sure you take a look at their website here, sign up and follow them on Twitter (@MallzeeHQ)! Leave a comment to tell me what you're looking forward to about Mallzee and follow me on Twitter (@NatashaMackay1) for more fashion updates! I'm sat looking out my window and all I can see is grey and rain.. the joys of Autumn/Winter! But there is a positive about the next few months besides Christmas. What's that I hear you ask? Well, my lovely readers, it's party season! 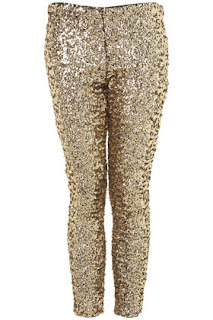 The only time of year when you can wear sparkles obsessively and not be judged! Every shop you go into, you will see an array of sequins and sparkles from the traditional gold to multicoloured heaven and it can be a little overwhelming! 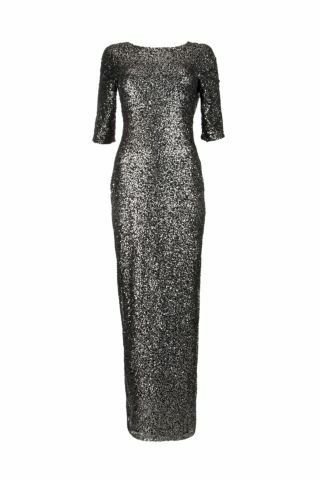 So I'm going to show you some of my favourite eye-catching dresses that aren't going to leave you scraping your pennies together for your Christmas work do! 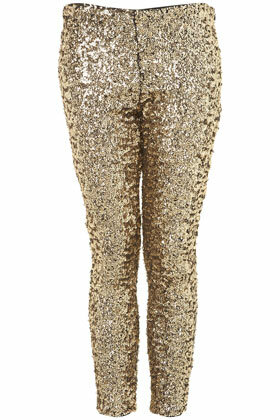 With all the different ways to glitterize your outfit, there's no reason why you should miss out of this trend! It's one way to brighten up your day when it's dull outside! Tomorrow, my blog will be featured on the blog Mouthful Of Style (@MouthfulStyle) for her Talk for Thursdays post! Make sure to take a look! Leave me a comment or follow me on twitter (@NatashaMackay1) for style updates and more! Where would fashion be these days without a little bit of vintage influence? I love taking a look around charity shops to see what bargains I can find but wouldn't it be even better if you could find some vintage jewels in the comfort of your own home while you're sitting in your comfiest clothes with a cup of tea? That's where ASOS Marketplace comes in! ASOS Marketplace (marketplace.asos.com, @ASOSMarketplace) is where anyone can sell items they've made or pre-owned vintage fashion! I'm really loving the collection Yoke Vintage (@YokeVintage) are selling at the minute! Look at this Vintage Acid Wash Floral Dress that they are selling for only £23.99! How amazing is that? And at such a good price as well! 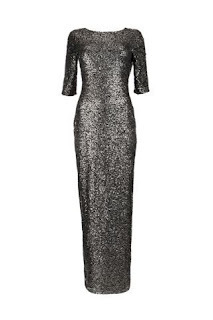 You can find this dress as well as the rest of their collection here! I know once payday rolls around, I'll be getting myself a few things! What about you? Another boutique I have found on my internet travels is The Ragged Priest and just a warning, once you see what they sell, you'll be wanting to spend, spend spend! They sell a wide range of vintage and customized items from jackets to belts that are still in great condition! Here are a couple of my favourite items! The first is an Oversized Light Denim Western Style Shirt by John Banner which is a steal at £10 and the second is a Classic 70's Denim Orange Tab Jacket by Levis which is only £20! You can find the rest of The Ragged Priest's collection here! 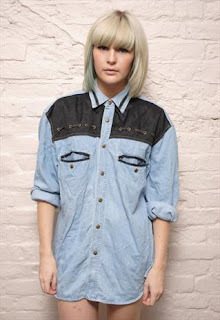 See why I love ASOS Marketplace? Follow me on Twitter (@NatashaMackay1) to get more fashion updates or leave me a comment! As I'm sure everyone knows, this month is Movember and it's not just men who are embracing it! 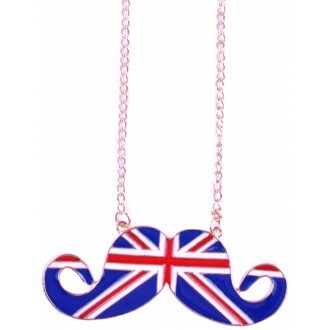 Us women have decided to show our support with moustache themed jewellery, clothes and even nail art! 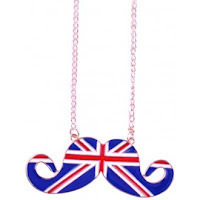 Online Jewellery brand Misbehave Boutique (http://www.misbehaveboutique.com, @MisbehaveStore) have a wide selection on fun moustache items including this patriotic Union Jack themed 'tache necklace! I think everyone needs to own this piece of jewellery for Movember and beyond! And it's only £3 with FREE delivery on all orders this weekend so what are you waiting for?? 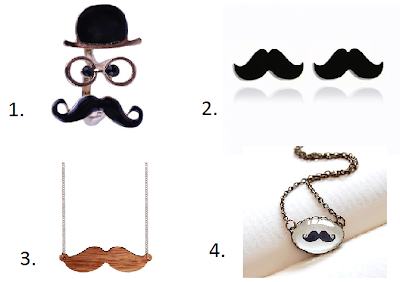 Here's some other Movember inspired pieces of jewellery I've found online! As well as this awesome jewellery, you can find some 'tache talk on t-shirts, bags and even underwear! 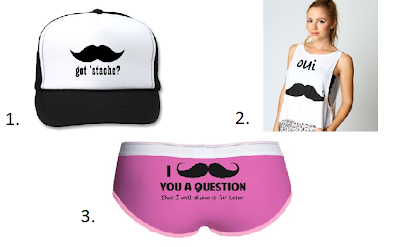 Take a look at these other must have moustache inspired items! Movember is such a great way to promote Prostate Cancer UK and the Institute of Cancer Research so if you want to donate or find out more information check out the Movember website here! You can also follow the team on Twitter @MovemberUK. Leave me a comment telling me how you're getting involved whether it be through your clothes, make up or even your blog! Satchels, Clutches and Totes - Oh my! We all know that every girl can never have too many bags and I don't know about you, but I love it when I find a new website or shop that sells them, I need to buy one! So I thought I should share a couple of websites I love! Not too long ago, I came across the website A-shu.co.uk (@ASHU_CO_UK) where they have beautiful designer style handbags for high street prices and yes, it is as amazing as it sounds! 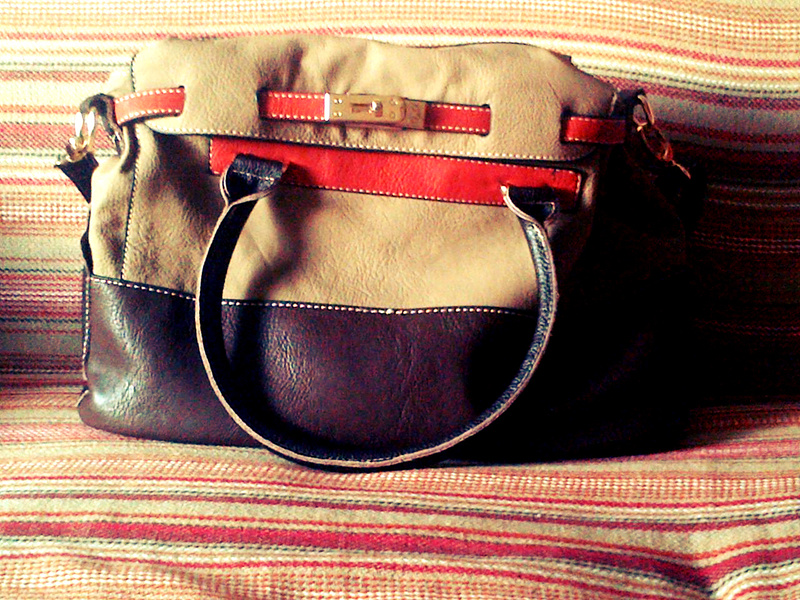 I got this gorgeous Taupe Hermes Style bag for £23.99. As well as it looking amazing, the quality's also great too and it can hold all my books for college.. Such a bargain! Take a look at these beauties which you can buy from their website now! I also recently came across the brand Oushka (www.oushka.com, @oushkabags) who sell some statement handbags that every girl must own! Although the price range is a little higher, the bags have have numerous good reviews and are durable and long lasting.. definitely worth the money! My favourite at the minute has to be the Dover bag in tan which I've shown below. The colour is perfect for all year round so you can use it over and over! It's also the perfect size to hold every girl's essentials as well as a little more and the metal links provide extra support which means there won't be any embarrassing strap snapping incidents! 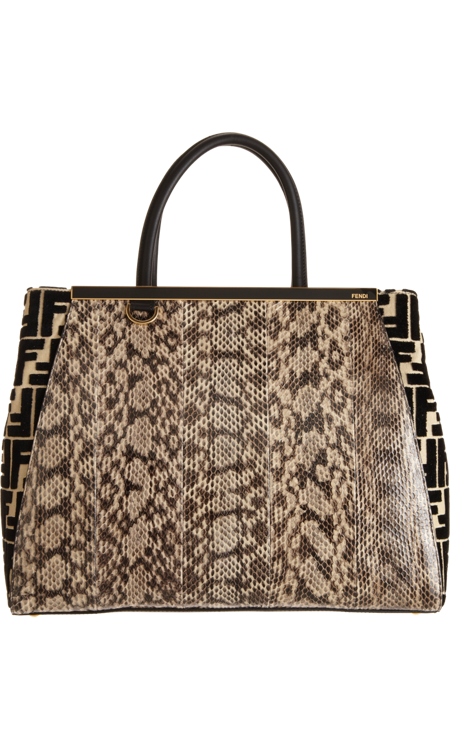 You can buy this bag on their website for the lovely price of £145 which I will be doing once payday rolls around! Leave me a comment or follow me on Twitter (@NatashaMackay1) for more fashion updates! It's getting so cold and I don't know about you, but I'm having to add an extra layer of clothing on each day so we may as well do it in style! 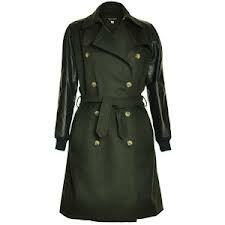 I was having a browse on the Young British Designers website (www.youngbritishdesigners.com, @YBDfashion) and came across this amazing green sleeve wool trench coat by Sophie Hulme! The heavy wool bodice and leather arms would definitely keep you warm on a cold winter morning as well as the belt creating a cinched in waist for every girl! Team this coat with the following items for the perfect layered and cosy outfit! Keep the coat open to show off the gorgeous printed jumper or button it up to show off the military style design and keep yourself warm! Anyone else getting fed up with the cold weather already? So I think we should think about all the lovely things we're gonna get to wear in SS13! I'm excited just thinking about it! Alice + Olivia showcased some gorgeous pieces SS13 at New York Fashion Week including this amazing jacket which I reckon is a wardrobe must! Their whole collection is full of amazing prints and bright colours which are the perfect mix between preppy and ladylike. A bit closer to home, upcoming British designer Kelly Love's SS13 collection is being released tomorrow and it looks amazing! 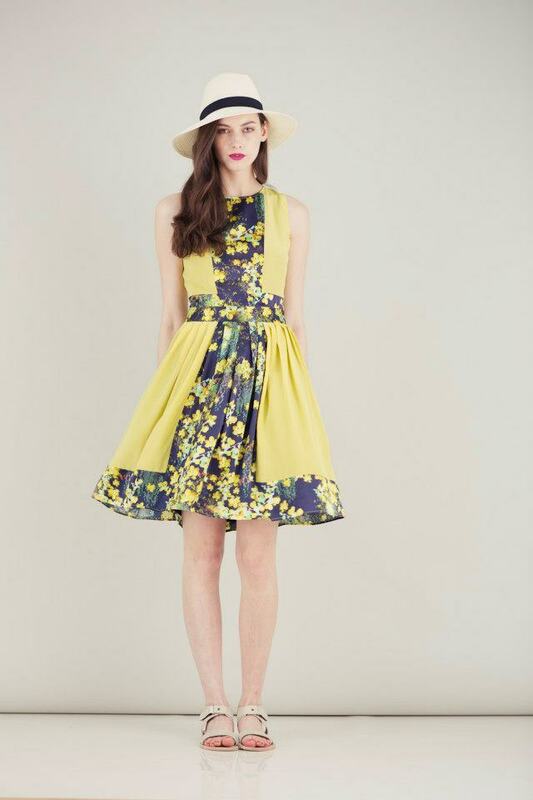 Especially her 'Blossoms That Dance' dress, the colours and print are gorgeous! Definitely the perfect dress for a picnic in the park with the girls! 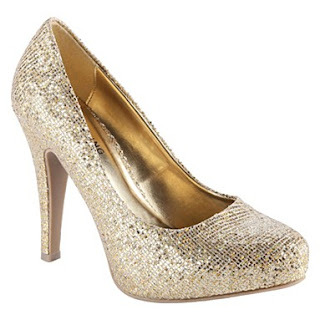 Her collection is uplifting, flirty and fun to wear.. Such a must for Spring/Summer! I don't know about you, but I'm genuinely so excited for next season! Can't wait till the sun decides to return! I'm Natasha, a 17 year old fashion student who loves to buy clothes even when I can't afford to! I love dresses.. they're a must for me! Even in winter, team it with a pair of woolly tights and boots and you're sorted! 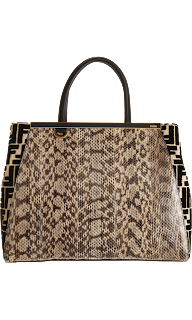 I came across this Fendi Velvet and Snakeskin Tote today while I was browsing the internet and now I want it! 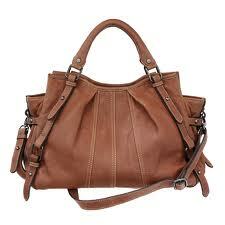 It's such an amazing bag that would would look great with a pair of dark skinny jeans, a blazer and heels! Also, it's big enough to hold every girls essential items.. Bonus! Anyone wanna buy me it?